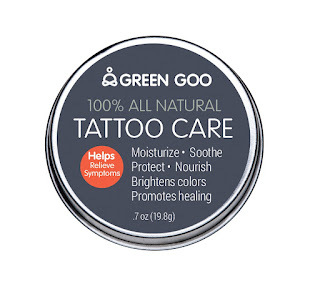 ThemeParkMama: Looking to get a tattoo or already got one, keep it looking great with Green Goo. 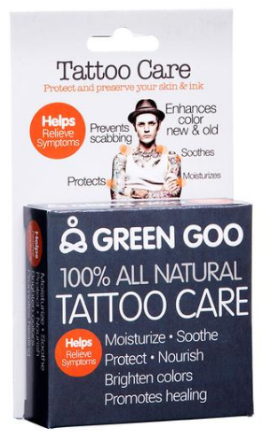 Looking to get a tattoo or already got one, keep it looking great with Green Goo. You’re stoked your skin is sporting a new tattoo, but what comes next? Getting your ink to heal. Achieve healthy, gorgeous skin while keeping the color quality of your new body art with Green Goo’s Tattoo Care! Leaving the studio after you get your ink done is an essential time for your tattoo – it could make or break how good it looks forever. 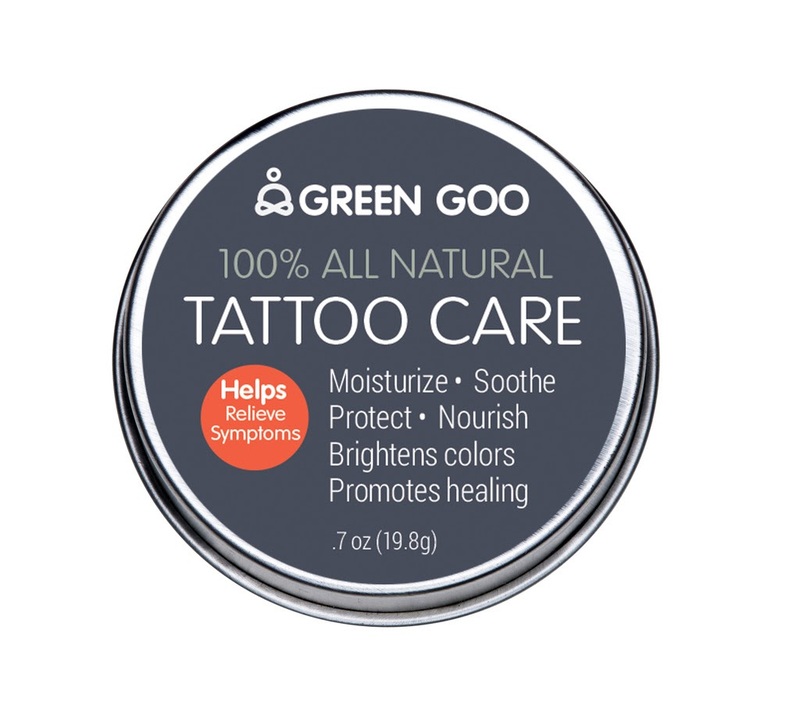 Help your body art heal with Green Goo’s moisture rich, homeopathic salve that keeps colors bright long after application. Your tattoos have special meaning – heal them the healthy way with moisture rich, soothing tattoo aftercare from Green Goo! 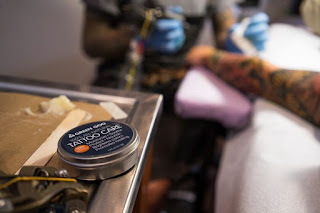 We all know that when you get your first tattoo it can be a painful experience not just getting it but the aftermath of taking care of it once it has been finished. Green Goo is perfect way to get a health looking, beautiful finished product. Don't wait! Try it today or if you know someone who will be getting one soon this is a great hope it feels better gift. Check out Green Goo here.